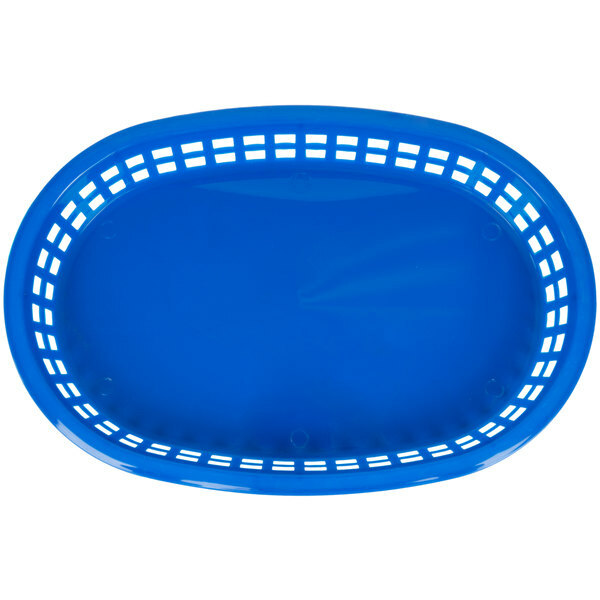 Serve your signature sandwiches with a side of fresh cut fries, an ample order of crunchy onion rings, sweet and spicy wings, or jalapeno poppers in this Tablecraft 1076BL 10 5/8" x 7" x 1 1/2" blue oval Chicago platter basket This Chicago platter basket features a blue color and easy to clean grid design. 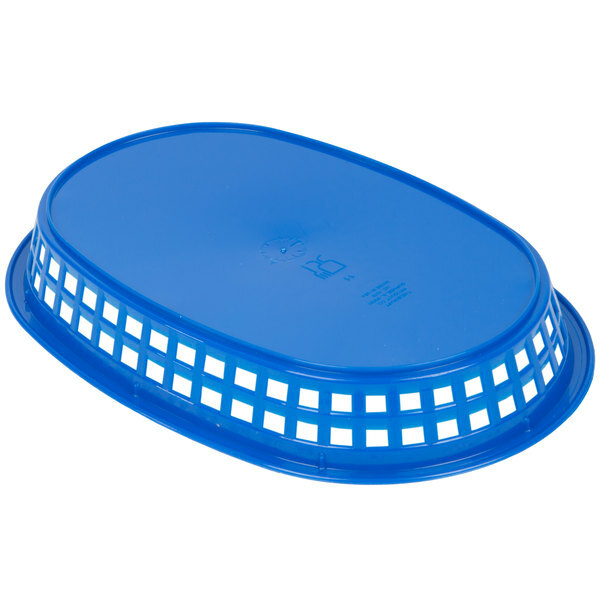 It's made of high-density polyethylene for longevity and it can withstand temperatures up to 150 degrees Fahrenheit for added versatility. 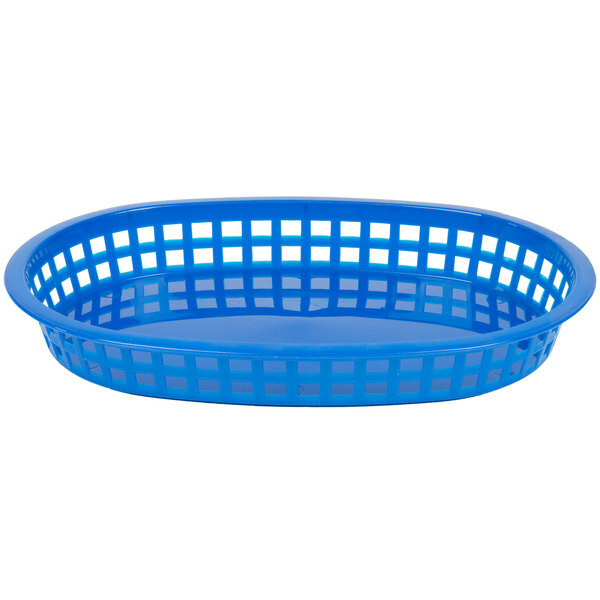 Use this basket at your restaurant, bar, pizzeria, or snack bar. 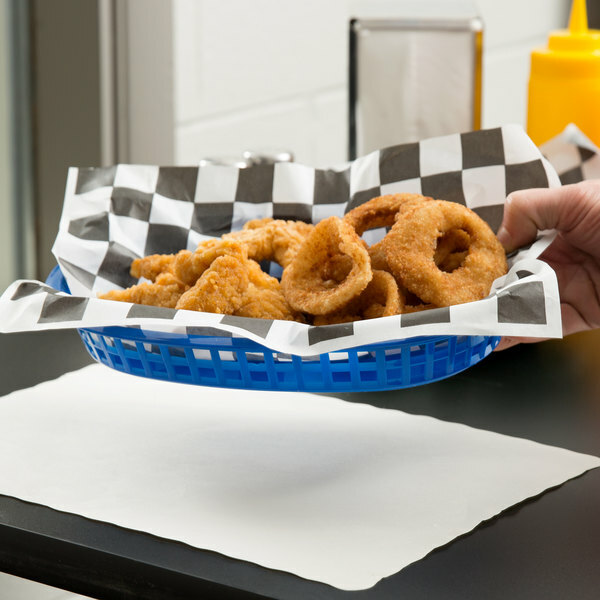 The classic oval shape increases the perceived value of your menu items, while the rich blue color ensures it offers a professional presentation. 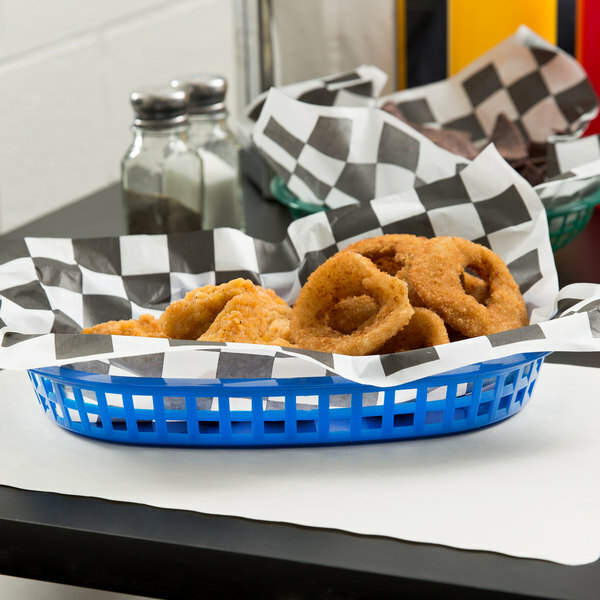 When serving orders in a traditional plastic basket, trust your service to this Chicago platter basket! We ordered these to replace plates in our snack bar. They are a great size and are very bright. I would recommend these to someone else. Our high-volumen fast food restaurant owner customers love this item. 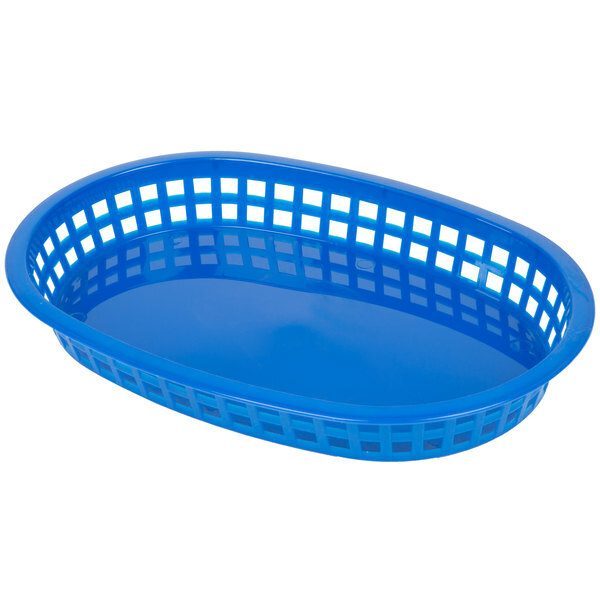 Easy to clean, won't break, color won't fade, nice and sturdy at a great Price. These were perfect for what I wanted them for my daughter 5th birthday. I just lined them with waxed paper that I also bought here. 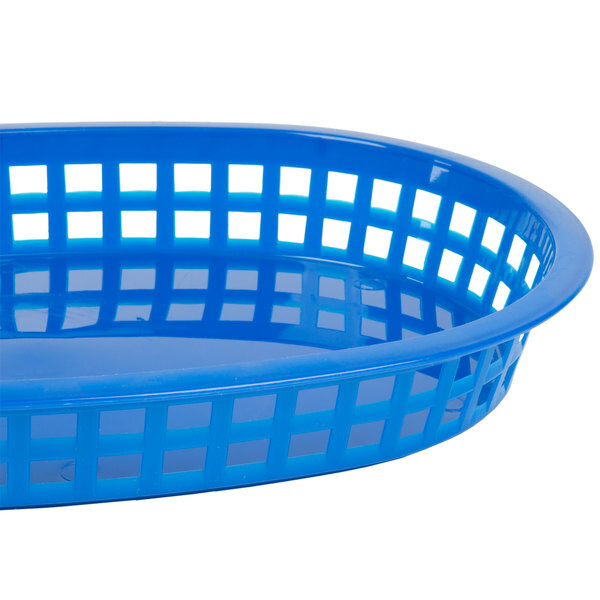 I use these baskets at home for fried foods and meals for the kids. They think it's fun to use them, and they're sturdy and easy to throw into the dishwasher for cleaning.